Almost five months after the news was leaked to the public, the promised increase of salary for Eritrean civil servants, including the armed forces, has not materialized yet. News about the planned salary increase was first leaked in November 2015. Two months later Isaias confirmed the news in a New Year television interview. 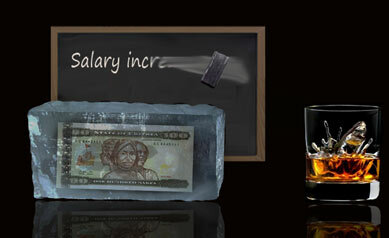 However, after months of waiting, the salary increase remains a mirage. The announcement of the increase came at a time when the government was engaged in a frantic movement to change the national currency, the Nakfa. Sources from Eritrea indicate that the grievances could possibly escalate and the forces that were lied to about the salary increase, particularly the army, might mount their pressure on the government. Unconfirmed news indicate that such unrest has happened in a camp in Sahel where scores of soldiers were arrested for instigating the unrest. Since the last months of 2015, the cost of living has been increasing so much because of the currency change which caused acute shortage of cash in circulation in Eritrean markets. Withdrawals from banks are tightly regulated. Though theoretically transactions can be conducted through checks, the Eritrean economy is a cash economy—businesses hardly use checks let alone the general population. The government allows bank-account holders to withdraw only a limited amount of money on a monthly basis. Many Eritreans who reside in cities depend on foreign remittances that are transferred to them from their children and relatives. However, due to the shortage of Nakfa, the price of the US dollar, Euro and other Gulf Arab currencies have dropped by more than half its price compared to last year. The artificial increase of the Nakfa means that less and less people are willing to dump their forex in the market. In the past, visitors to Eritrea exchanged thousands of dollars and spent it during their stay which usually last for about a month or so. Now they can’t do that because it is a crime to keep amounts in excess of 3000 Nakfa (roughly $100*) in cash. Unauthorized buying or selling of foreign currency is a serious crime in Eritrea and the banks exaggerate the value of the Nakfa—the official exchange rate is less than half of the actual value of the Nakfa. President Isaias Afwerki has realized the severity of the general grievances and is hoping the Gulf rulers would bail him out of the financial crisis. Today’s Jebena takes us back to an evening in Keren where the renowned Sudanese artist, Mohammed Wardi pays homage to the beautiful Eritrean woman. The honorable SGJ is here by invited to say something about the occasion and the song. Others are invited as well. I tried to translate the first two verses. They are beautiful, and here they are followed by the song. I heard the song was written by Ustaz Alamin Abdullatif, I did not ask him about that when I had a chance, and now, I could not get him for obvious reasons. I also heard the rudimentary lyrics were written by Ustaz Alaamin, but I doubt it. It is way below his class. I used to like hm but not after that song. 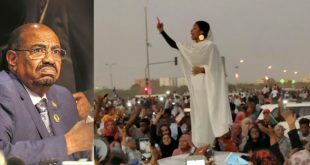 Then Numeiri was overthrown, he sang, “La Haarisna wela faarisna” totally rejecting Numeiri for the the coup of Hashim AlAtta and Babeker AlNur (Communist party of Sudan). Thanks for this link and for reminding awatistas that long time ago, before we started arguing about everything, we used to set aside the weekend for Jebena–Arts, Music and The Warriors. Sorry, Ted, I mean sports. Played the song to the end, then it looped over to “Saberta” performed in Addis. I can no longer enjoy the song ever since an Asmarino did a brutal version of how the song would sound like if Kiros Alemayhu did a cover. It was brutally funny then the PC squad I think lobbied youtube for its removal. OK,The Warriors are jus warriors, and they are the best at that. Back to my Daari. I know you said that thinking cousin Hope is sleeping. What makes the song memorable is its feel (a slow tempo, string orchestra which must have been new in the town); its strength of invoking imagery: ከረን ጻዕዳ…ማይ ዳዓሪ..ዓርኮከባይ ታኪ…Well, it’s full of imagery and a feel of belonging to Keren, etc. The melody is simple and repetitive and no more than three chords unless you are a jazz musician. The continuation of border tension between Eritrea and Ethiopia has served very well for both parties to prolong the lives of their regimes. The government of Eritrea always mentioned that the country is constantly under imminent threat from CIA,sponsored Ethiopia and the danger could be happen anytime soon .so this not time for questioning about constitution, national service, women rights ,etc.let us save our country sovereignty first. On the Ethiopian side also when his own people raises any questions about their rights Ethiopian government immediately pointing it’s fingers on Eritrea and said, Eritrea is trying to destabilize us by telling these demonstrators to destroy our country, our government will never answer or solve these kind terriorst questions. we will make sure Eritrea pay for her act on this. The current Naqfa shortage crisis our people are going through , as the 1998 war, the decades long limbo on border demarcation, No War No Peace stagnation, the 2009 sanction etc., there should be no doubt, is his own creation as a means to fulfill his life long evil dream, to build Tigrai Tigrigna on ashes of our country. To say, therefore, he went to Dubai to undo his own brainchild is uttterly wrong and misleading. However, as his former trusted and loyal aid, Ali Abdu, said, the modus operandi of the impostor is, like typical crook, shedding tears of his own victims and blaming others for his own Crimes. Remember his CIA connection, exposed thanks to Tesfankeil ,who accompanied to Kagnew Station in Asmera in 1970 and the subsequent huge number of elite EPLFs he killed paradoxically accusing them as CIA spies, the very Crimes he was perpetrating. Therefore, it is possible the writer might have been misinformed by the malicious group the impostor, just like his Death Squads, keeps to misinform the Eritrean people. But the question is, how long do we have to allow ourselves to second guess this heinous criminal? Till we vanish as a country and people? By the way, the impostor has no lack of dollars or Euros; he has been amassing tremendous amount of foreign exchanges from various quarters— black market, human trafficking, Bisha mining, Dubai, Saudi Arabia , the European Union etc. Because Dubai is already dolling him out lots of money and he is purpoely inflicting the financial crisis on our people , it is utterly irrational to attribute his trip to Dubai to either of them. Indeed the Asmera banks have been suffering from chronic and severe shortage of foreign exchange but it is because he has been plundering and looting the nation by transferring the money straight to his multi accounts in foreign banks. His complete legal, political , economic and media control of the country along with its complete isolation from the rest of the world has been his prescription to subject the country and people to slow but sure demise and get away with it. And his complete paralysis of our ports as well as his shutdown of the import and export business was also to save himself from headaches our unwittinging bussinesmen may cause him by asking incessantly for foreign exchanges. But as he diabolically inflict horrendous suffering on our people, characteristic of his evil nature, his demeanor remained unruffled—wears shaggy clothes and sandals as he walks around surrounded by multiple plain cloth wearing security men unbeknown to his victims or some alien oblookers; punctuates his speeches with false patriotism that call upon his victims for self reliance, indefinite and futile national service and perpetual vigilance against pseudo enemies of his own creation. All these and many other physical and psychological tortures he meticulously plans and executes as a means of terrorizing the people to submit to the evil or run away from their country. But now , thanks to some brave Eritreans, the tide has turned against him as evidenced , among many others, by the Commission of Inquiry set up by the UN to investigate his Crime Against Humanity, the Parliament of the European Union’s criticism of his flagrant violations of human right, the establishment of a pro Eritrean party by some members of the British Parliament to help the Eritrean people remove this criminal. Currently, he is deeply aware that his evil tactic of decimating our country and people is backfiriing and that his doomsday is approaching by leaps and bounds, Eza Alem Kem Eunqi’ya T’tsebo Zela, as we say in our beloved Tgrigna. The flury of diplomatic activities he has been undertaking, coupled with the false rumours of reducing the duration of the so called national service to eighteen months, the false salary increases to those in so called ” national services etc. are all designed to extricate himself by fraudulent means, of course in vain, Mark My Words!!!! I’m waiting for the second part of your hateta where you , without any reasonable doubt, explain how His Excellency Qidus Atse Isayas, President of the Great Nation of Eritrea, is building Tigry Tigrigna on the ashes of your country. So far you have discussed how he is destroying Eritrea. I won’t fail you; just keep reading and it will come dealing with the processes already underway: the complete unmaking of the seemingly two but in reality one villains—— little woyane ,whom the great people of Oromia are chasing out of their country, ——–the impostor isias afewerk, whom the great people of Eritrea have forced to seek refuge behind the skirts of the Saudi. I still don’t get it. Where is the building of Tigry Tigrigna? Well, I have patience to wait and see how you bring the demise of little weyane and Atse Isayas in one side and the building of Tigry Tigrigna on the other. Show me side by side. I see you did not read my first message to the very end . if you did you could have noticed that i said, to paraphrase, the villains’—— little woyane and the impostor isias afecherqi—-, vain dream of tigraitigrigni was stillbirth. Now both of them are in the final stage of death. Mark My Words!!!! That which has been is that which is. And that which is is that which might be. Our Lord Hades is bitter and greedy, he will continue to favour anyone and anything which causes agony and death; he will continue to court and welcome the Furies to his underground palace; he will continue to play with his pitchfork to sent tremors to every Eritrean household; he will invite the gullible and the naïve among us and the foreign Muzungus who occasionally pay him a visit to sit on the Chair of Forgetfulness; he won’t take pity on us and we will continue to roll the damn boulder uphill. So goes our story. In the last few days, the government announced through public notices, sub-regional administration and the PFDJ branch offices, and through seminars conducted by high ranking delegates of the ministry of Defense, that the government has granted a few days of amnesty (“መንግስቲ ምሕረት ኣዊጁ ኣሎ” ) to all new and veteran military service dodgers and asked them to report to their units immediately. This was accompanied by occasional round ups in different parts of Asmara. So pay or no pay, the primary driver for the exodus of our people will be there. Since the ban on contraband trade was announced, the shortage of basic consumer goods has been very acute. To calm worries, government official have been telling people that the GOVERNMENT will import basic commodities and distribute them in cheaper prices. So far nothing has been done and people are seriously suffering. To make matters worse, sever restrictions are imposed on money transactions and people are forced to explain every transfer of every penny. I am told that the new workloads have proved too burdensome for the banks and they are actively sabotaging the process. (This might be responsible for the heart stroke that recently visited Mr. Kbreab, the Governor of the Bank of Eritrea, who is abroad for a medical treatment). The new call to duty of new and veteran military dodgers coupled with the increasing economic hardship made worse by the recent change in the currency and banning of the black market economy might be a fertile ground for some new dynamics. The recent acts of the government have been too bold and have antagonized some powerful interest groups in the army and elsewhere that it might provoke some strong reactions. Hi Gogo, there is no amount of agony or atrocity or crime you can pour or commit on Eritreans under PFDJ before they spontaneously rise up for their rights. No amount. So without the help or direct involvement of Ethiopia, Eritreans will tolerate any amount of suffering or they will pack and leave. Nobody is willing to die for anybody else but he or she will go through any desert, sea, and wilderness to emancipate himself or herself. I don’t think that’s too unfair given how many of us here have recklessly supported PFDJ and allowed it to do all the things that it did. So why would anyone sacrifice himself/herself for the likes of us to go and claim the country? Dear AT, I wonder why Gogo’s comment was deleted. Seemed okay to me but I know you guys have a job to do to keep this clean so I won’t question your decision but just curious what was not right. Yeah! I am curious too. I read that post before I left work, and it sounded as thoughtful and as well organized as GoGo’s posts usually are. Unless they talked him into making an article I don’t think it is because of any posting violation. And there was a greeting. hi hi hi, what did I say? Or do you move at a tortoise speed in all things? Hi Fanti. Now I am thinking you work here at AT. You probably did this yourself – pulled the comment and posted it to the front page. I also now postulate that the probability that you are one of saay’s research assistants is almost 1. Nobody could be that much smarter than me otherwise because I was way off in thinking Gogo may have pissed off a moderator on a nasty mood, rare around here although Abi might see it differently. Had you said SJG’s assistant we could have been friends forever, but Saay? I would burn to kingdom come with gastric acid in a week! According to face book page of “Hagerawi Dihnet”, national service in the Ministry Finance and in Banks received their upgraded salary yesterday. He says that the starting salary was NKF 2,000 with increments for years served (I think). I don’t know why they would get salary on the 16th of the month, and I don’t know if it is true. First I did not speak of external power, so don’t put a word into my mouth. Besides, no one is gullible enough to think that they would unseat the Isayas regime by writing articles or participating in online fora. But one thing is certainly true, i.e. oppression of people doesn’t last for ever, and it is just a matter of time before the gangs of PFDJ face the fate of their predecessors. In its long history, EPLF later PFDJ has taken a series of steps aimed at weakening the overall fabric of the people as part of its ‘shock therapy. The recent move to restrict the amount of Nakfa at the hand of users is just a continuation of its history characterized by hegemony and control. 1. Way before independence, during those times when it controlled the so-called ‘liberated areas’, it proved to be pain in the butts to the local people, always going after those individuals who were considered good farmers. They even nicknamed it ‘kumal gebar’ to highlight its obnoxious nature. That was before Nitricc was borne or he became familiar with the history of Eritrea. in hindsight, the true aim of the move was to replace the civilian force with fighters. It was one of the first implicit measures taken by EPLF to push away the public and replace them with their own people. 3. It dismantled the University of Asmara in the pretext of expanding the tertiary education. It is now clear why it burned down the university to ashes: the university was an obstacle towards fostering the system that it long planned to permeate into the country. I remember one day, the then Education Minister, Osman Saleh openly complaining to one of the deans of the faculties of the university about how the university had been producing graduates with ”sub-national tendencies”. 3. It actively controlled the free movement of grains/food within the country till recently. It was commonplace to see array of buses stranded to search for grains, regardless of the amount. In all honesty, what kind of government controls free exchange of food among its people/regions? And they did it in the name of catching the ”greedy merchants”. This particular move by the government, that I witnessed almost every day for years, still blows my mind away. 4. And now, it is controlling the cash flow in the country. They are doing it in the name of controlling inflation and the ‘soulless’ merchants. It is just another tool in the ‘control box’. Previously, it controlled the flow of food, and now it is cash. Its ultimate goal is to punish the ‘hapless’ public. This is just a sample of the countless, deliberate measures undertaken by EPLF later by PFDJ to systematically weaken the public in an effort to perpetually guarantee its power base. For PFDJ, it has always been about control and subjugation. None of its history stands to the opposite. There is just no evidence to regard PFDJ as trustworthy. not then, not now. Other than covering ups of corruptions or cutting off the inflow of old currency from outside Eritrea or making difficult for UN to trace inside Eritrea the beneficiaries of the human trafficking monies, the new currency is more problem than solution. The worst problem comes from Isayas’s announcement that the members of national service and the EDF would get a pay rise from 400 Nakfa to 1500 Nakfa. As a result Isayas would make additional expenditures of 330 million Nakfa, i.e. ((300,000 x 1,500 Nakfa = 450 million Nakfa) minus (300,000 x 600 Nakfa = 120 million Nakfa)). Otherwise, to match his expenditure, Isayas has to reduce the number of his military force from 300,000 to 80,000 (i.e., 120 million / 1500). In a private email, a friend indicated lack of clarity whether monthly, quarterly or annual expenditure. Firstly, the pay raise was monthly from 400 to 1500 Nakfa effective November 2015. Thus, the monthly increase in expenditure on salaries only excluding benefits, if any, equals to 330 million Nakfa (300,000 x (1500 minus 400)). Secondly, the total monthly expenditure will be 450,000,000 Nakfa (300,000 x 1,500 Nakfa). The annual expenditure will be 5,400 million Nakfa (450 million x 12). If Isayas retains the size of his army, the increase in annual expenditure on salaries only will be 3,960 million Nakfa (330 million Nakfa x 12). The armed force including regulars and members of national service have 5 months in back payments amounting to 2,250 million Nakfa (450,000,000 Nakfa x 5). For all intensive purposes, there was no official statement on salary increase. There was talk of national service time reduction too, but no official statement. I have come to become reluctant about anything that is not read-out on EriTv. There is ALWAYS bad intention behind every move the regime is reluctant to announce publicly. If it was good intention and meant to be implemented, there is no reason not to announce it and take credit for it. Remember that. This regime is known to spreading all kinds of lies and rumors to accomplish evil goals. It hates to make its intentions public, because then it would be harder to runaway from accountability. European partners know this and they twisted Isaias’ arm to make him make what he told them in private public, about the national service. He refused. This man hates transparency, and like the insects that quickly die when exposed to light, light is hazard to him. All his life, he has been doing business in hiding and in the darkness both as a rebel and as a head of State, and he will take that habit to his grave. Now this being one of those subjects that had been under discussion since 2010 (when the government told the civil service that the raises they were about to give them were re-allocated to fight the Hasadat America and their sanctions), it had a ring a truth and now it is confirmed. In the interview, the reporter (Wedi Abbe) reminds the President that his employer (Ministry of Information) has filled the requirements of submitting a database [of employees] trying to say, in his own meek way, “so when are we going to get our raise”, and the President cuts him off and tells him to ask his next question. Before you go torture yourself with the video looking for it, I believe that Mahmud Saleh had chopped the video and shared it with us. I see it as a wishful thinking to expect the Eritrean people to rise up against PFDJ oppression now. Out of the two normal reactions to threats, we Eritreans are most inclined to flight than fight. Ok, you will tell me that we fought for 30 years against foreign oppression and I would not deny that; but that was during the twetieth century, and with past generations. Ample circumstances have come and gone through the last 25 years of Isayas rule without us impacting a dent to his iron grip of power, that is the bitter truth, unfortunately. The most likely scenario would be the dictator dying from natural cause, and his regime crumbling from its own internal decay. And what happened when Meles died? His remnants rules. You’re delusional if you think the biggest terrorist running my country will fall like that. His remnants will continue to rule if Eritreans continue to stay idle. Both the terrorist Shaebia and their supporters deserves complete eradication of the Eritrean soil. Only way to liberate Eritrea from murderous gangs of bandits. While there is a lot of similarity between the PFDJ and EPRDF; there is one significant difference between the two in terms who controls power. In the case of Eritrea, power is essentially under the complete control of one man: the regime is built around and in mere service of this man. In Ethiopia, EPRDF has introduced a certain degree of institutionalism, based on contitutional rule, and one would call the system there as an institutional dictatorship. That is to say power is shared among a wide spectrum of individuals; hence there was no any destructive power struggle when Meles died, with relatively smooth transition of power. On the contrary, in Eritrea today, there is even no vice-president, or a second in command individual who might take over when the dictator is no longer. The phrase “Fight or Flight” is popular, but it is only partially true. The full complement of reactions to stress are “Fight, Flight, Freeze” (the three Fs). I am inclined to also believe Isayyas will die peacefully in his sleep, and will be buried with honors. I too believe that DIA will die sitting in his throne; and then, it will be “the emperor is dead; long live the new emperor”, as in N. Korea and Medieval Europe. I do not expect change at this eleventh hour. Look how those who stand with the dictator could be seeing things for the sake of the dictator. –	He (DIA) is the creation of the Eritrean elites and the embodiment of the quintessential and superior Eritrean, and therefore should remain the unchallengeable leader and revered and protected. –	He is the vanguard of the Eritrean state. Eritrea is his creation, and in his hands she is safe and secure. Nevertheless, they would not complain even if he destroys his creation. 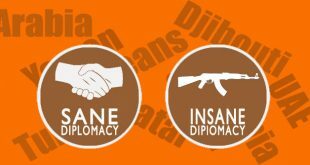 –	Only DIA can prove to the world that Eritrean independence is not only viable, but Eritrea also stands taller than all African countries, for there is nothing impossible for DIA, when he is entrusted with a great mission. Whatever the cost, now and in the future, he (they) will force the people to pay for Eritrea’s (rather DIA’s and his supporters) greatness. –	Any compromise and rapprochement with Ethiopia is equivalent to defeat, which will raise many questions among the people, like why in the first place; and therefore out of the question. The door should always remain hermetically closed, by making minor (secondary) issues main (national) issues, and the use of intimidation, coercion, propaganda etc. –	Fragmentation of Ethiopia, and Eritrea rising to greatness is not only an everlasting dream, but an idea to be believed like a religion. –	The “one step forward and two steps back” has always been their modus operandi. –	Outsource the responsibility of deposing the dictator to the foolish Ethiopians, make Ethiopia get sucked in to the Eritrean quagmire, because they (the opposition) cannot fill the void. –	Their words have always been their strength. There are some in the opposition who are not hundred percent for the removal of the dictator, but for some face-lifting, and at the worst sacrifice DIA to appease the PFDJ, and maintain the status quo and the policy towards Ethiopia. As long as Ethiopia has been made Eritrea’s existential enemy number one, that is believed not only by PFDJ and its supporters and even by a big chunk of the opposition, and as long as the above most probably are true, why wouldn’t he rule Eritrea even from a wheelchair like Mugabe, who is said to be planning to do so? Finally, seeing at our own house, Meto-be-meto and the anti-terrorism law, decorated with developmental state, will help our own rulers to stay around for long. Not satisfactory, of course, but when there are worse scenarios, the less evil is the better. According to my reliable sources, Qidus Isayas is building a heaven called Tigray Tigrigna day and night. When he dies, he will move to that heaven and rule forever. Read Tinbite Isayas and Mezmure dawit for further explanation. You are kind of slow. you were always talking about Ethiopian uprising. for you Eritrea will advance and develop it is if Ethiopia is disturbed only. It seems Eritrea will be first for change – we don’t know yet..but tell us what you think of uprising in Eritrea. go out of your fox hole and join us here. I know you will start “Hayat ” and “Weyane ” thing as usual but go on we are used to that. I hope this financial crisis will lead to an uprising against the terrorist regime. The brutal regime will not be released from the quagmire it is in even if the Gulf states bail it out with foreign currency. The fundamental problem is, the whole project was not studied or analyzed carefully. Not only that, the amount of notes was very little and the sole aim focused on collecting the huge amount of cash owned by the populace. As mentioned by Awate doing transaction by cash is unheard of and impractical in Eritrea. Maybe, firms and businessmen can use it when they are forced. Otherwise, the layman and people living in small towns and in the countryside can never use it. As a consequence we see the stalemate and the economic stagnation. There are several people who went to Eritrea for one or two months but came back after a week or two. PFDJ or the helmsman was such a lunatic to introduce such a project! What is worse, there is news that the plan was concocted in 2013 and only Isayas and Hagos kisha were the architects! and neither of them is a monetary or financial expert. Poor Eritrea!! The only purpose was like you said to take away the poor people’s cash, and nothing else. Everything else they told their retarded supporters – to fight corruption, black market, and to make the human trafficking money null is all bogus. The sole purpose is to weaken the people further and ride them even more. Semere Rusom is alleged to have stashed away $13 million in HSBC (radio Medrek) and same is true for probably all high PFDJ officials. So who are they fooling? Not you and me. But of course their stupid supporters. My friend in Sweden is going for 25th independence anniversary. Yeah, I know. I heard you. She asked why i never go and i told her I don’t want to be in container. She replied “Eway weriduwom….” Go figure. The people, the army in particular, have to stand up and restore the deprived right-to-live, not just for salary increase. 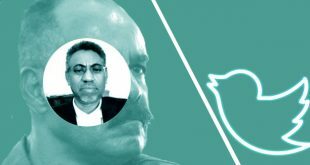 In fact, demanding the full implementation of the constitution, release of all political prisoners, and bringing PFDJ leaders to court should be among solid reasons for instigating unrest and worth of paying the ultimate price. you said “demanding the full implementation of the constitution,” and then said “bringing PFDJ leaders to court should be among solid reasons for instigating unrest and worth of paying the ultimate price.” you want PFDJ leaders right the court and you are demanding the implementation of constitution..you demand PFDJ to implement the constitution and also bring them to court! I need your explanation sir, how does that really work? Instigating unrest for fundamental reasons is, if handled carefully, a step toward popular revolution that people reclaim the power and make their voice heard or else. But once the unrest/ revolution starts, it is extremely hard to predict where and how it ends. So to answer your question: it depends on the purpose and direction of the revolution, needless to say. If it starts tomorrow, it won’t be the first one: Tegadelti done it in 1993, but perhaps because the purpose was about salary, it didn’t last long, may be 24 hours. I hope I answered your question. That is it ! we don’t have to be in emotion! believe me the idea of creating uprising in Asmara is not that difficult and the real people for change have been discussing about it. It is not that we don’t have people to start it. see, you need to be part of the change and take responsibility otherwise you will only expect and will not know what the result is. Now, change in Eritrea at this very moment is not worth death of innocent – we need to pay less as it has taken enough time. only good plan and action will end the job. We don’t have to experience what we have seen in other nations recently..the drowning man on the ocean will take with him any one he will be able to catch. PFDJ is in comma and should not take heroes. Remember, PFDJ will not allow you and me to bring his one person among members for justice just by uprising to implement the constitution. Agreed. I am really glad that after all now people are hoping for change from within which I have been calling for quite sometime. Now, it is time to stop making endless movies at Wa’la Awassa, Debrezeiti, Addis Ababa and engage on grassroots uprising. BOOM! stay calm ! Things are not as easy as you thought. remember there were a lot of lessons learned with that all movements. there is a concrete base which was not destroyed by PFDJ spy net work. Hidri Serwati was not created over night and is preparing too. Let us not underestimate the job done so far.. Just keep accepting what good is done and learn from mistakes..and start from that. be open minded bro. I lost a friend who use to name himself exciter and in the bottom of his view he use to write “Peace!” as you do here. he is brilliant as you are but I can see he has a bit different view than you do here. I wonder if you are the one. exciter use to argue and debate well but he was also open minded, will you confirm me if you are the one. now relax and comeback when you get time. to answer your question. I am not frustrated at all, I never. you see it is our duty to make the world the best place for coming living things all. it is not something that you measure it in one circumstance or in our special incident. It a nonstop job to fight all odds. it is a journey that we can’t hide from. the starting point is on self and it goes up to the universe. I feel I didn’t do a single job still. I have a lot to do and should work hard to accomplish what I should. I use the same words as others do but deep inside i have none to blame. there is no one more responsible than you or me. Not PFDJ alone or opposition is to be blamed. it is just a phenomena you and me are ordered to tackle. every one of us is in exam with situations, if someone manages good it helps for progress of humanity if not it makes it difficult for all of us and for himself. that is all. we are all responsible.